$65 fares to Europe? Better act fast. 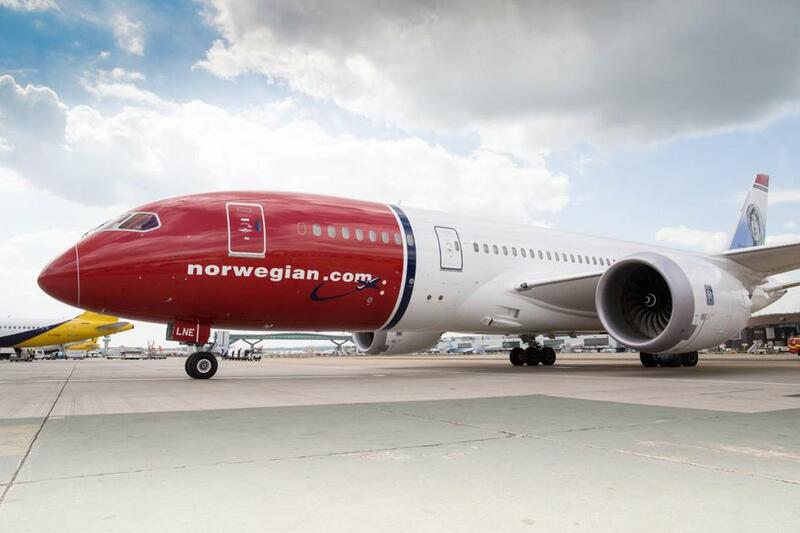 Beginning in June, discount carrier Norwegian Air will launch flights out of Providence’s TF Green Airport to Edinburgh, Belfast, Cork, Dublin, and Shannon. To grab the attention of travelers, roll-out fares will start at $65 one-way. Norwegian is also offering flights out of Bradley International Airport in Windsor Locks. The flights went on sale at 6 a.m. Thursday. The airline will operate Boeing’s new 737 Max planes for these transatlantic routes. Both Bradley and Green have operated European flights, but the arrival of Norwegian represents a significant gain for both. These will be the only year-round European flights out of Providence. The airline, which is the sixth largest discount carrier in the world, also considered Portsmouth International Airport as a possibility for the new routes before opting for Green and Bradley. For Bostonians, the introductory fares potentially represent savings despite having to travel farther to the airport. Weekly parking is available at Green for $65 ($50 with a coupon available on the airport’s website). Green is 50 miles from Boston. Weekly parking at Bradley, which is 95 miles from Boston, is as low as $36. All of this discounting isn’t without controversy. Norwegian has been accused by US-based carriers and their unions of skirting US and European labor laws by establishing a base in Ireland but hiring pilots out of Asia to save money. Ireland has less strict tax and regulatory laws. US-based airlines, particularly American, Delta, and United, contend that this gives Norwegian an unfair advantage. They also cite safety concerns. These airlines and unions have also spoken out against government-subsidized airlines such as Emirates. Sande contends that Norwegian is not only giving travelers new options, but also offering jobs in Providence and the new cities it’s servicing. Norwegian’s base fare of $65 (going up to $99 after the initial promotion) is barebones travel. If you’d like to choose your own seat on the flight (as opposed to being assigned a seat at the gate), the fee is $45. The base ticket price includes a carry-on, but checked baggage begins at $65, and can go as high as $130 for international connecting flights. Additionally, food and drinks are not included in the price. Non-alcoholic drinks start at $2. The airlines does not have electronic check-in, so lines are not unheard of at Norwegian’s ticket counter. The Edinburgh flight out of Providence begins June 16 and runs four times weekly during the summer, twice weekly in the winter. The flight to Shannon begins July 3 and is twice weekly, year-round. Providence to Dublin launches July 2 and runs five times weekly during the summer, three times weekly during the winter. Flights to Belfast begin July 1 and run three times a week during the summer, with no winter service. Providence to Cork is three times weekly year-round. Bradley will host flights to Edinburgh only.